Making fashion accessories with duct tape has brought an efficient and attractive solution to wear expensive looking jewelry. 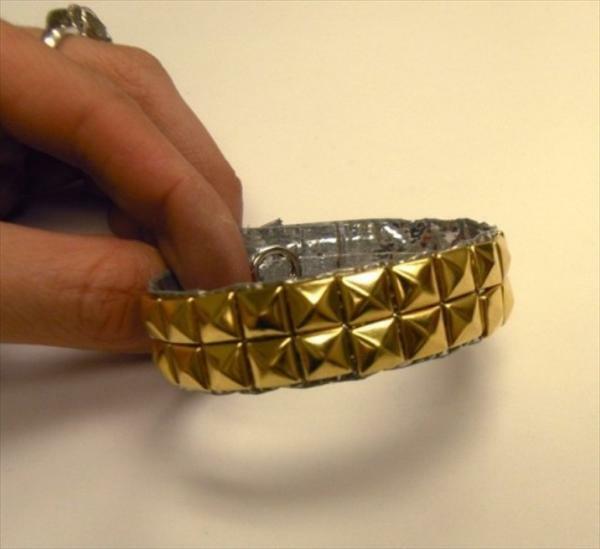 Here goes easy Duct tape Bracelet making idea embossed with studs. Everyone would love to make it and wear it. Let’s start making it. First you have to get the material: silver colored duct tape, the golden pyramid studs in the count of 30-36, and the Velcro or Snaps for biding. Initially cut a piece of length of tape that fits around your wrist. But leave extra tape space for Snaps overlapping. Fold over the tap from one horizontal side. Fold the opposite side too in same manner. It will look like same as below. Turn it again for the plane side, and choose tap area where to fix the studs. 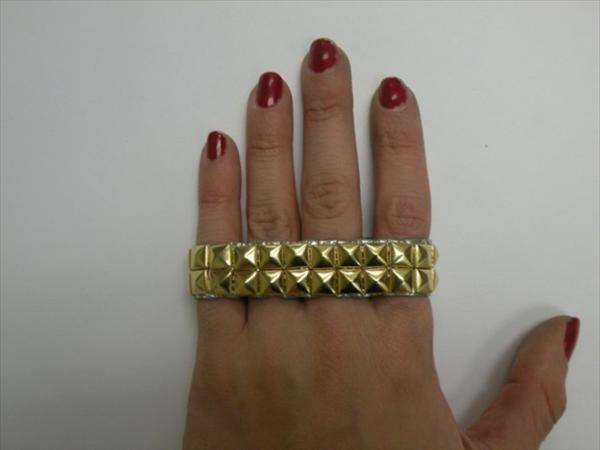 Once you decided, fold the studs’ prongs inside the middle so that the bracelet tape looks nice from beneath. Repeat fixing the prongs till you complete the required studded columns. 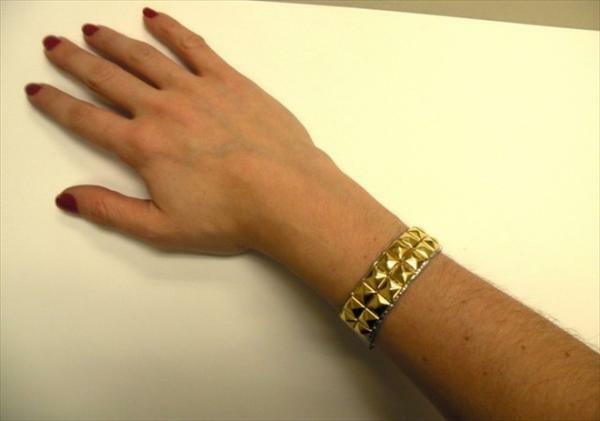 The back of studded duct tape bracelet is safe: have no prongs that can harm the skin! At next step take pieces/single piece of duct tape equal in length to paste it on back. This is for making it itching-free. For the last step, you’ll need the snaps/Velcro per your choice. We are using snaps and a hammer to fix those down. Once you fixed those, you are ready to wear the studded duct tape bracelet. 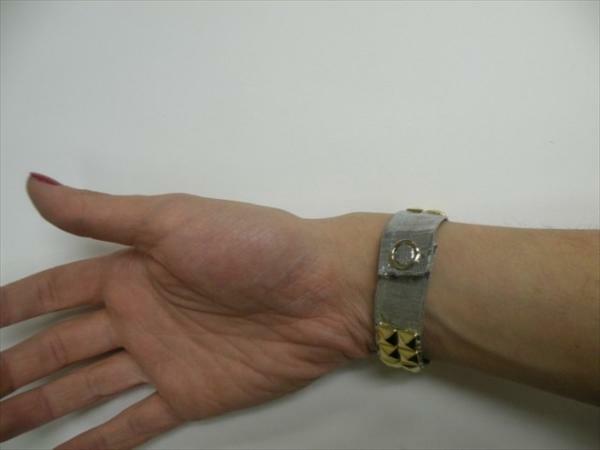 Have a final look of tape bracelet and move around wearing leaving friends astonished.